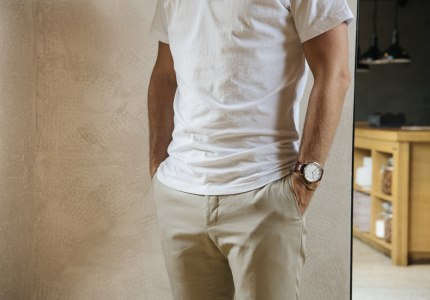 The designer behind Best Jumpers, Dylan Best, gives us his ultimate guide to nailing “luxury loungewear” without looking underdressed. Or like a couch potato. The streetwear trend has been one of the most dominant in fashion – from couture runways to high-street labels – of the past few years. One of the benefits? 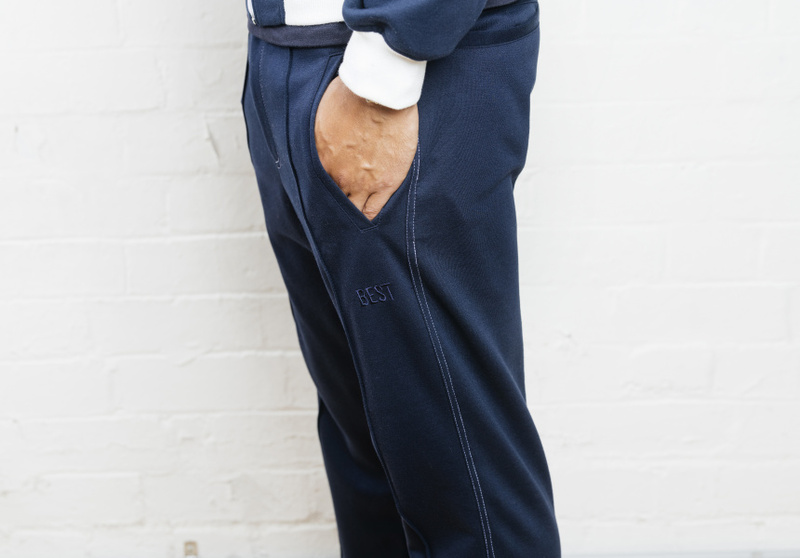 If done right, you can now wear trackies to work – and a bunch of other places or social gatherings you might have previously thought were out of bounds. 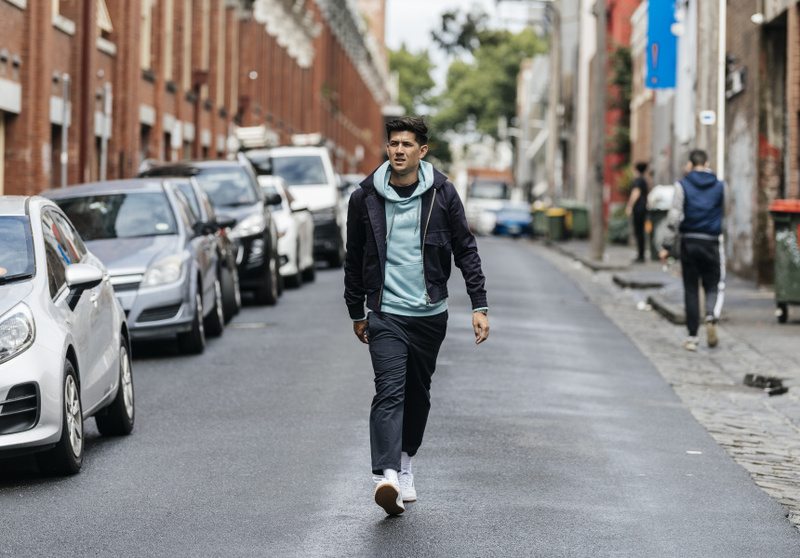 Before you walk out the door in your favourite old trackie dacks, which often don't leave too much to the imagination, consider this: there’s now a variety of more fashionable, considered options on menswear runways and in stores. 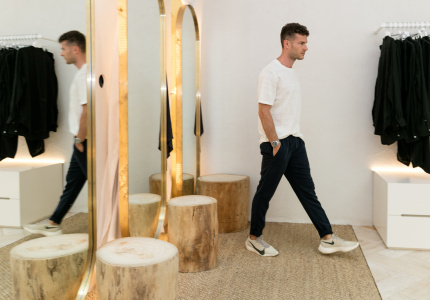 Sweat-pants now come in a variety of fabrics, and if you can’t justify spending half your salary on a tracksuit, there are many more affordable options out there – you just need to know where to look. And a note on colour: whether splurging or finding a bargain, always remember to keep it simple; grey-heather, navy or black goes well with anything. Let’s begin with the age-old hoodie. I love this staple most because it can be worn at all times of the day, from brunch to the bar. I think it layers better than, say, a simple crewneck, because the volume of the neck looks cool with something tailored over the top. If you prefer a snugger look, pick up a more minimal slim-fit tailored hoodie, or go more casual with an oversized style that can be worn under a blazer. 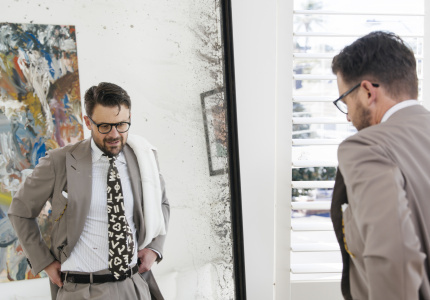 The contrast between casualwear and formal tailoring is something to embrace, as long as it’s simple and really comfy. This is something I try to encapsulate in our design philosophy at Best Jumpers. Pairing something more formal (like a long coat) with something sporty and casual (like a hoodie) creates a nice contrast, allowing you to elevate your casual look or help give your formal look an edge. Elevate tracksuit separates with a fine piece of outerwear like a bomber jacket or a long tailored coat. Try to introduce different textures with more elevated outwear pieces – such as a cotton sweatshirt with a wool coat – to dress down your work look, or elevate your casual look. Adding a crewneck sweatshirt to your outfit will give your work ensemble more edge than wearing a coat directly over a shirt. If you’re layering your outerwear with a hoodie, the jumper hood should come out over the top of the piece of outerwear, rather than sit underneath. 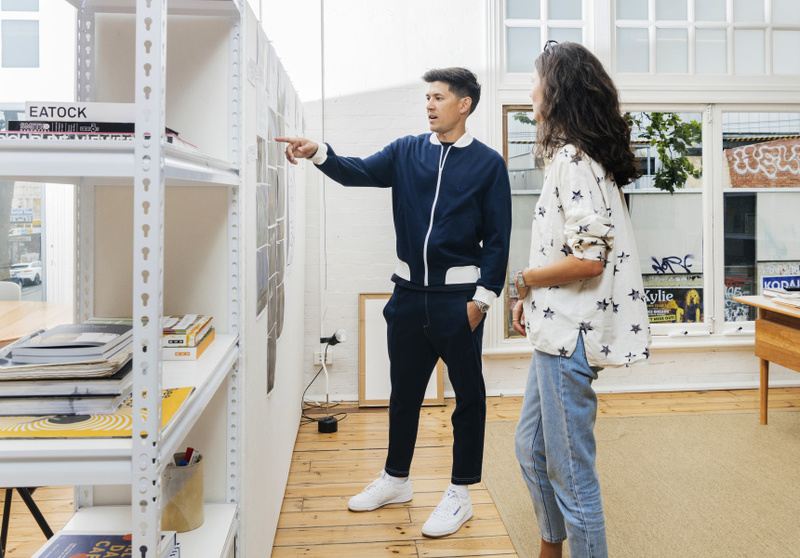 Enhance your look by pairing your trackies, hoodie or matching tracksuit set with a white sneaker, from a more luxurious leather sneaker like Common Projects, to a Reebok classic. The simpler and whiter the sneakers are, the better, as far as I’m concerned. They’re versatile and will make a look more sporty than casual – but in a refined way. If you’re wearing colour, wearing a white sneaker will also make that colour pop. Full matching tracksuit? Yes, love a matching Adidas-style pintuck sweat pant with a simple white sneaker, but only on certain occasions: during the day or on the weekend, probably not at the club. We’re seeing much more matching on the runways, too. Wearing a two-piece makes a bold statement and therefore it must be made well. Dylan Best is an Australian designer who’s worked in menswear design teams for Ralph Lauren and Club Monaco in New York, where he also attended Parsons Fashion School. Best interned and freelanced with the design teams at Derek Lam, Band of Outsiders, 3.1 Philip Lim and Rag and Bone. 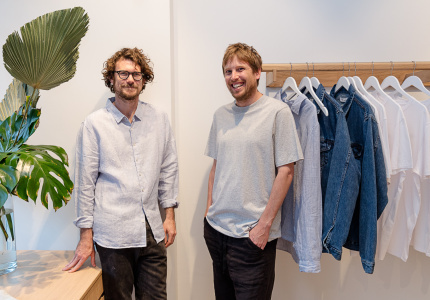 He founded his own elevated unisex casualwear label, Best Jumpers, in Melbourne in 2018. The new collection will drop in May. The Principles is a monthly menswear series about timeless style and how to nail the fashion essentials.